YAMAHA R5: Off to the Shop! It's been a long time coming. 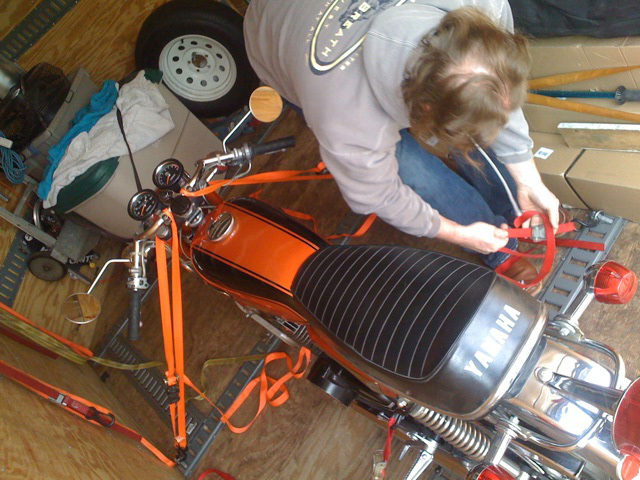 After two seasons off, the bike is going to be revived. Once again, it takes a birthday and awesome friends. 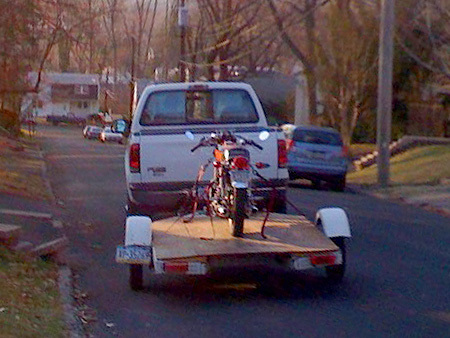 This past weekend the bike was trailered out to the 'burbs by our friend Jim in his cool enclosed trailer, and just today it was picked up for service. Not long now until she's back on the road, smoking it up. I will post findings and repair info as I get it. Stay tuned!